This Live Blog session closed at 11:05 on 9 Nov 2016. 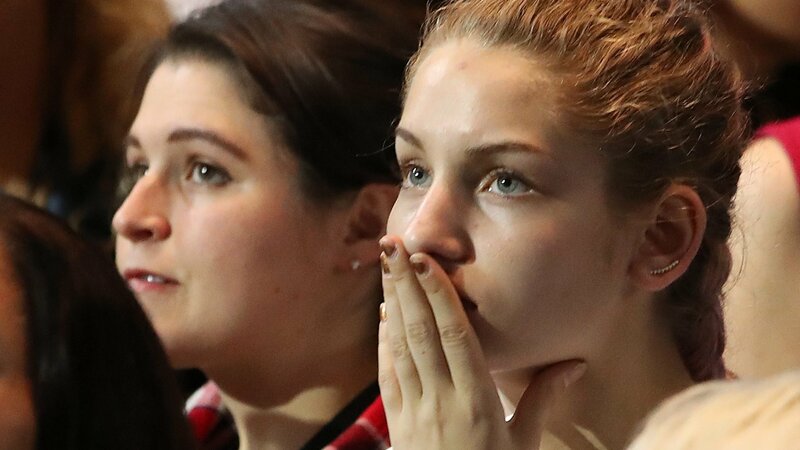 One of the most divisive presidential contests in US history ended dramatically on Wednesday morning with Donald Trump winning the White House. Donald Trump surged past the required 270 votes needed to win by 2:33AM EST. Hillary Clinton called Mr Trump to congratulate him on his victory, but did not make an appearance at her campaign event in New York City. Mr Trump addressed supporters at his own campaign event in New York City, with an appeal to unity, saying it is “time for America to bind the wounds of division”. 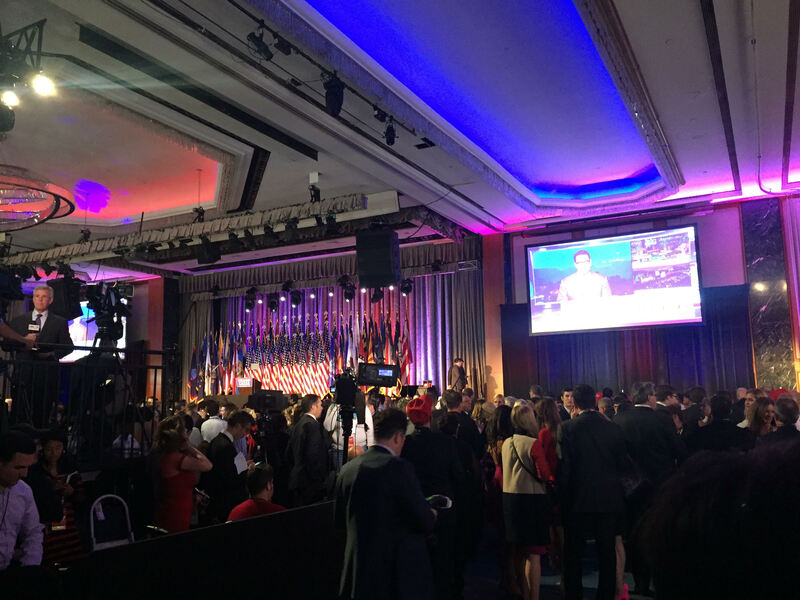 Trump’s guests are gathering at the midtown Hilton to watch the results roll in, reports the FT’s Sam Fleming in Manhattan. 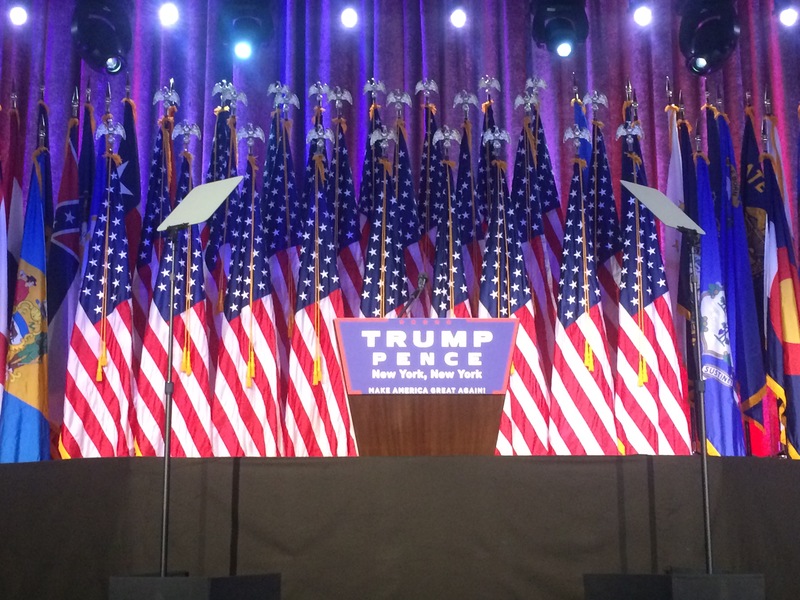 The hotel is surrounded by a massive police presence, and in its Grand Ballroom the stage where Mr Trump will speak later is already set with dozens of flags. Near the stage is the network of rooms where Mr Trump’s invited VIP guests will gather to watch in the results on flatscreen TVs universally tuned to Fox News. Buffet offerings on metal platters will include roast turkey, roast beef, sliders, pepperdaw and goats cheese poppers, Thai chicken peanut sate nibbles, shrimp, Long Island clams, east coast oysters and chocolate-dipped berries. The rooms, one dubbed the victory suite, boast autumnal bouquets of roses. There are ubiquitous piles of Trump hats and posters bearing slogans such as The Silent Majority Stands with Trump. The first results in the nation are in from Laurel County, Kentucky – with 2.2 per cent reporting in that reliably red state, Trump leads with 81 per cent of the vote. Mitt Romney won the same proportion in 2012. 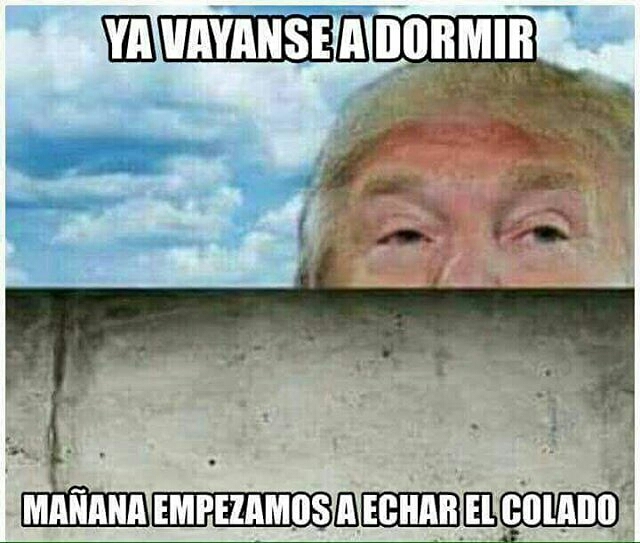 The Mexican peso is moving higher with just hours to go before polls across the US close. Mexico’s currency climbed as high as MXN18.26 against the US dollar — the highest level since early September — from MXN18.594 at the end of the trading day on Monday. It was the latest sign that investors have ratcheted up their expectations that Hillary Clinton will clinch a victory in the US presidential election, reports Adam Samson in New York. The currency, which has tended to move in the opposite direction of Donald Trump’s chances of winning the election, has gotten a boost in recent days after the FBI confirmed that it would not recommend charges over Mrs Clinton’s use of a personal email server. It has also benefitted from early voting information that has trickled in thus far. 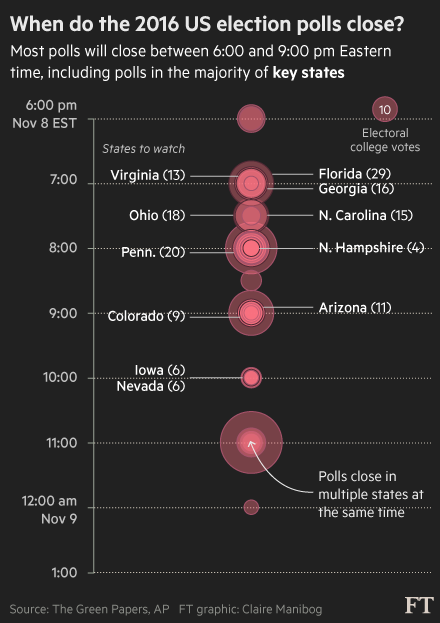 Investors may know within hours who the next president will be, as media networks begin providing exit poll results for important battleground states. A victory for the Democratic Party in Durham County, North Carolina, where voting hours have been extended after a nonprofit group sued the board of elections and asked for an extension in poll hours on the ground of technical issues that forced election officials to switch to paper roll books from the electronic voter check-in system. According to a Fox News exit poll, first-time voters are turning out for Hillary. A shooting this afternoon near Los Angeles has killed one person, injured three and caused several polling stations to be shut down. Deputy Caroline Rodriguez of the Los Angeles County Sherriff’s department told the Financial Times shortly after 4pm that the suspect was still at large, and that police had set up a containment area. The incident began just after 2pm Pacific with reports of shooting in Azusa, a suburb north of Los Angles. When police responded they came under gunfire, and responded with gunfire, according to an account posted on the Twitter feed of the Azusa police department. The police will give a full briefing at 4.30pm Pacific time. A reminder that things are far from over in western states: left-leaning Latino group just sent out this in Colorado to encourage last minute voters, from the inbox of the FT’s Barney Jopson in Washington. Speaking at Mr Trump’s party in midtown Manhattan, James Davis, a pastor at the New Spirit Revival Center in Akron Ohio, and a member of Mr Trump’s diversity coalition, said he was feeling confident about the evening. In part this was because of enthusiasm he witnessed from first-time voters and also because of the long lines that he has seen at Mr Trump’s rallies. 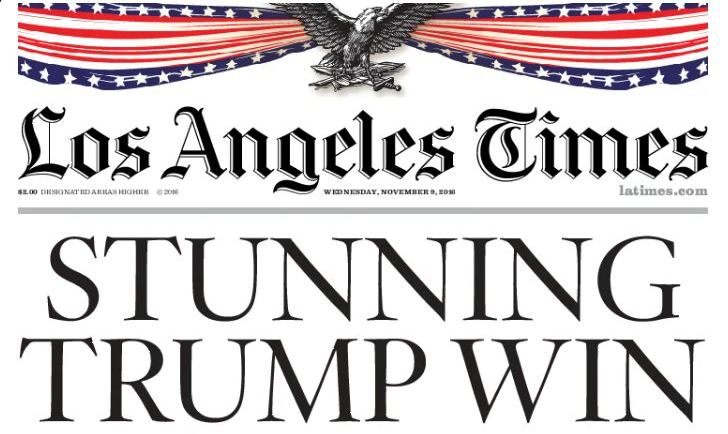 He said it was “surreal to say the least” to see how far Mr Trump had come, the FT’s Sam Fleming reports from the Trump party in Manhattan. “The American people are revolting against the political system and establishment, they recognize the corruption that is involved with the political system,” he added. 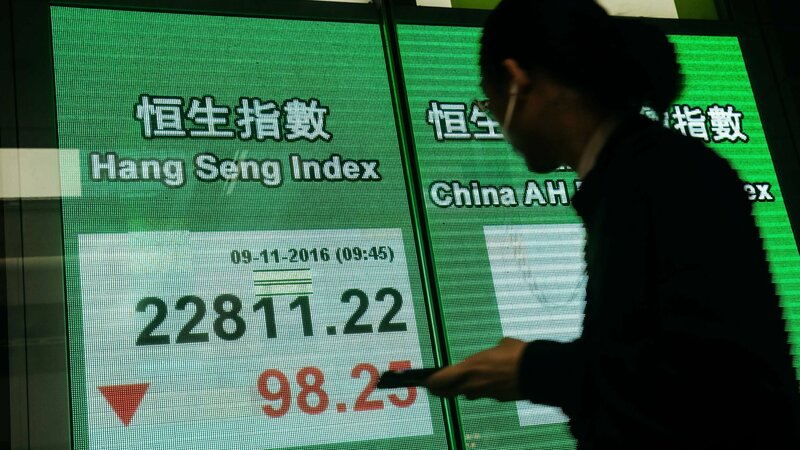 Foreign exchange markets in Asia are already showing signs of nerves as the first results in the US presidential election start to trickle in. The Mexican peso – the market’s popular proxy of the race for the White House – and the Japanese yen have been among the biggest movers as voting in some of the candidates’ stronghold states has turned out as expected, and leaning – at this stage – in favour of Donald Trump. 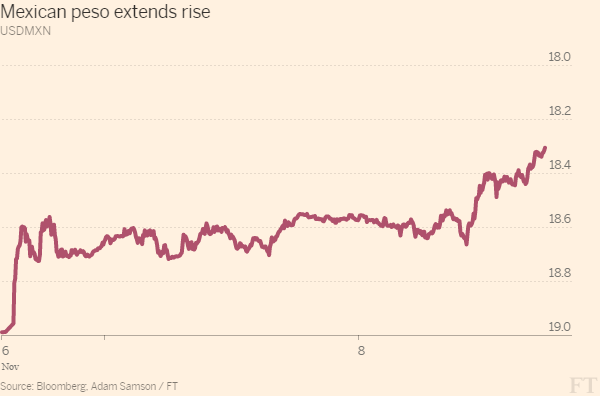 The peso is 0.4 per cent weaker, having recovered from a brief drop of as much as 0.7 per cent, reports Peter Wells in Hong Kong. The Canadian dollar, whose fortunes are also closely tied to the outcome of the US presidential race, was 0.1 per cent weaker, with one US dollar buying C$1.3298. 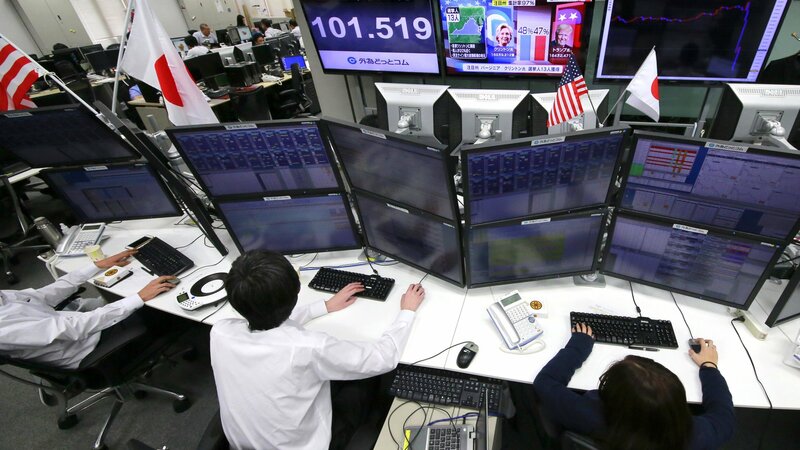 Meanwhile, the yen, which is playing the role of haven today, is 0.4 per cent stronger at ¥‎104.76 per dollar. 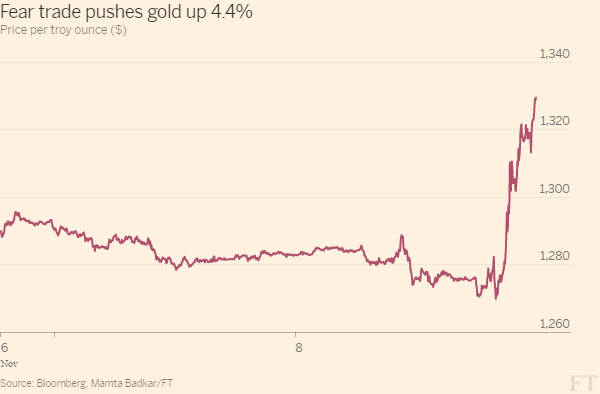 Only a short while ago it had been as much as 0.6 per cent stronger. 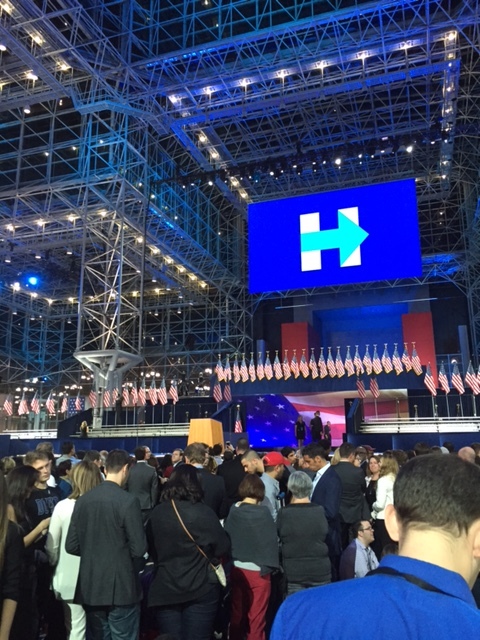 The FT’s Robert Shrimsley reports from the Clinton campaign party at the Javits Center that the crowd is getting edgy along with the markets. This Girl is on Fire played loud as the Florida votes stacked up. The narrow lead there was holding up. A staffer led “I believe in Hillary” chants. But as the Ohio and North Carolina exit polls came in, as Trump took the lead in Florida and Republican senator Rob Portman was projected to win in Ohio, the Javits Centre hall went rather quiet. They were all ready to party – now you can feel the edginess in the hall. Latest results: Trump wins Indiana, Kentucky, and West Virginia. Ohio, Florida and Virginia too close to call. Clinton wins Massachusetts, New Jersey, DC, Delaware, Maryland. That makes six states called for Hillary. Trump picks up Oklahoma, making for four states bagged. Ohio, Florida and Virginia still too close to call. Erstwhile Republican candidate Marco Rubio through to the Senate for Florida. The Clinton and Trump victory parties at the Javits center and the Hilton Hotel are a truly fascinating study in contrasts. The Clinton event felt hyper-controlled and organized and has clearly been planned for months and months; all the streets in the area are cordoned off, the crowds are being steered into holding pens, and there is a master plan to organise supporters. Utterly professional – but somewhat detached. The Trump event at the Hilton Hotel, by contrast, felt distinctly improvised – it had clearly been thrown together so recently that there were regular tourists staying at the hotel. Supporters were queuing at the entrance in a jubilant way and security was surprisingly light. 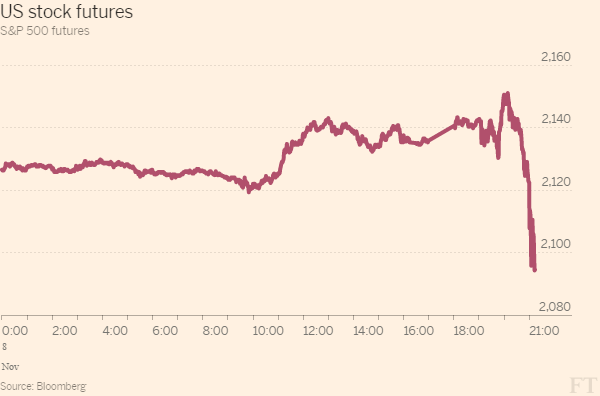 Markets are see-sawing as Florida hangs in the balance, Leo Lewis in Tokyo reports for FastFT that the yen is now back at ¥105.40/$ after a staccato rally earlier in the session took it well into the ¥104/$ range. Another former presidential candidate, Ohio Governor John Kasich applauded White House rival contender Marco Rubio’s win in Florida for the US Senate: “Senator you earned this win. 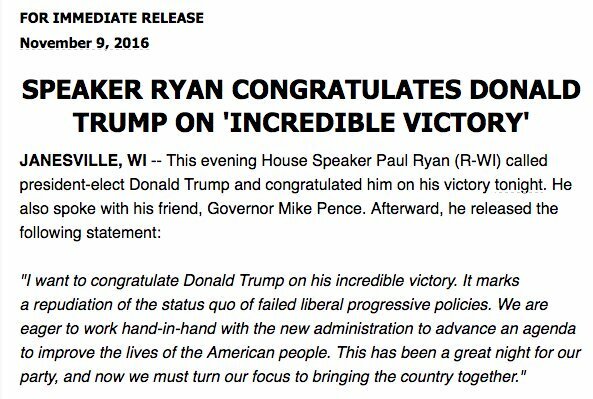 Congrats!” Kasich tweeted. With an eye on makign another run at the White House in 2020, the FT’s David Lynch in Washington DC reports that the 45-year-old Senator Rubio is unlikely to serve out his second six-year term. Major markets may be closed but the Asian and regional markets are providng a volatiel indicator: FastFT reports that Australia’s US-exposed stocks are looking pretty mixed as it ticks into the Sydney lunchbreak, but those that are looking weaker aren’t doing it by halves. 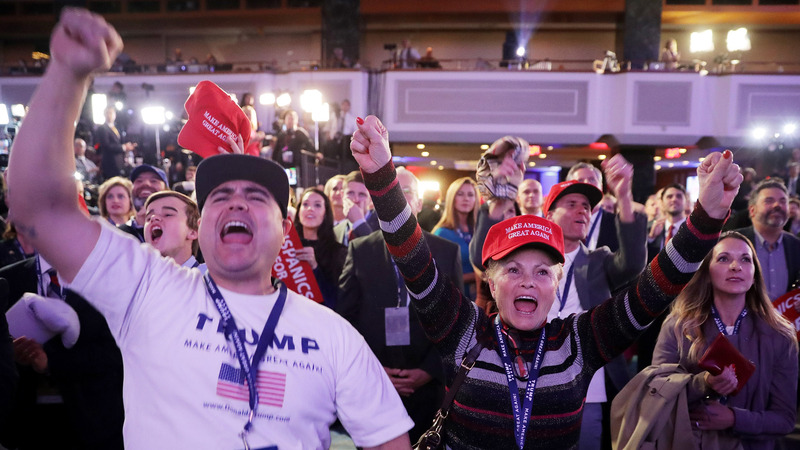 While jitters have hit financial markets, the excitement has been building up at the Trump party in midtown Manhattan, the FT’s Sam Fleming reports. Cheers have erupted at the Florida count as reports show Mr Trump as ahead even if the state remains too close to call. 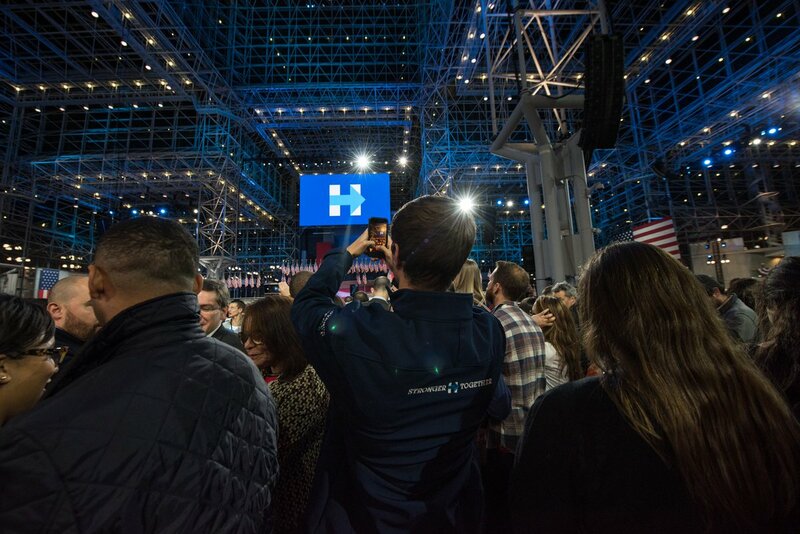 The predictable news that New York will go to Mrs Clinton was greeted with boos. Markets are taking the news increasingly badly. Gold price up almost 2.5 per cent, above $1300. Flight to safety has sent US Treasury yields into sharp reverse. Long lines have kept the polls open late in Pennsylvania, with some spots just now closing, according to the WNYC. 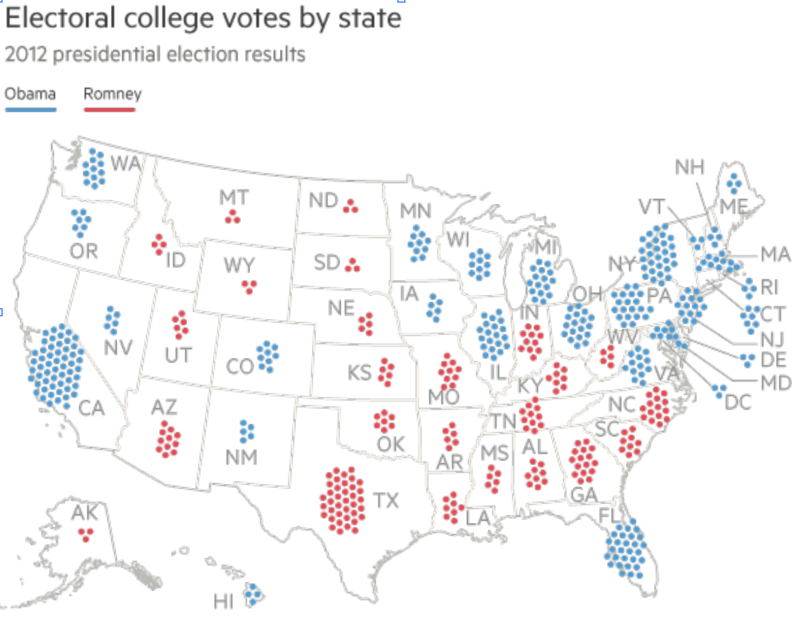 Pennsylvania, with 20 electoral college votes, is viewed as critical to a Clinton win. The yen is 2.7 per cent stronger at ¥102.29 per dollar, but was threatening to break the ¥102 barrier, getting as high as ¥102.04. 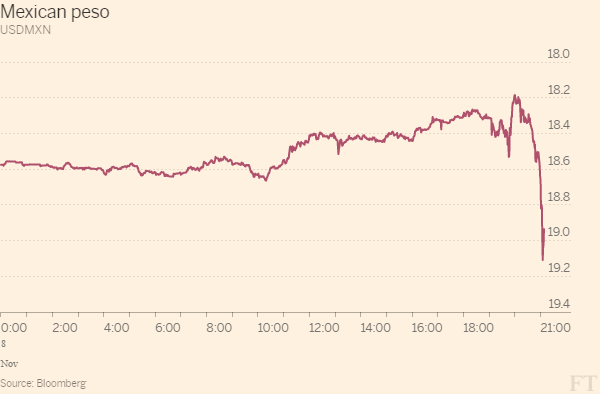 That has the yen eyeing its biggest one-day gain since July 29 and the fourth-largest so far this year. Japanese government bonds, also a popular haven, are also strengthening. Yields, which move inversely to price, are down 0.3 basis points at minus 0.064 per cent. FT Alphaville summary of the market shakiness can be read here: Trump stress trades appear to be on for now. Pre-election polls had given Trump the edge in the key state, which Barack Obama won in 2012 but which also has large populations of white working class voters. Ohio holds 18 electoral college votes. 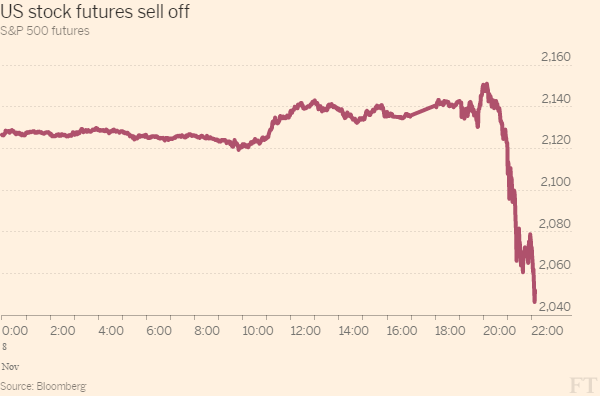 FT’s Leo Lewis reports from Tokyo on the rollercoaster ride of the yen after a sudden strengthening which saw the currency back in its role as a safe haven in times of trouble. The swing has revived questions over whether Japan could intervene in these markets. The Chief Cabinet Secretary, Yoshihide Suga, has just told Japanese media that the government is “watching whether FX moves are excessive” as the dollar continues its plunge against the yen. Having started today’s trading in Tokyo at around Y105/$, the greenback has nosedived to Y102.30/$ as markets realize that the polls may have given them a false sense of security. Mr Suga is also reported as saying that Japan will “respond to any excessive moves [in the currency] if necessary”. Local equity markets have lost their nerve too, with Tokyo selling off stocks across the board as the chance of a Trump victory appears to rise. “So this is where it begins. The results are not reflecting what the polls had been saying so the market is pricing in the risk that the world’s biggest economy will now be run by a man who has never held public office,” said one Tokyo equity broker, commenting on the huge drop in the dollar that has now completely reversed the earlier gains in the Topix and sent it into the lunch break down 2.3 per cent on the day. FastFT colleague Mamta Badkar reports on the paring back of investor expectations for a December rate rise on election uncertainty. Thanks to election jitters the odds of a December rate rise fell from 85 per cent to 63 per cent, based on US overnight indexed swaps, according to Bloomberg data. Hundreds of Trump guests have now gathered in the Hilton’s main ballroom… as they knock back Blue Moon beers, glasses of wine, Diet Cokes and watch the huge screens on either side of the stage. “It’s so damn close and I just want it to be a blowout,” said one guest to another just now. Cheers have been going up regularly over the evolving count in Ohio. 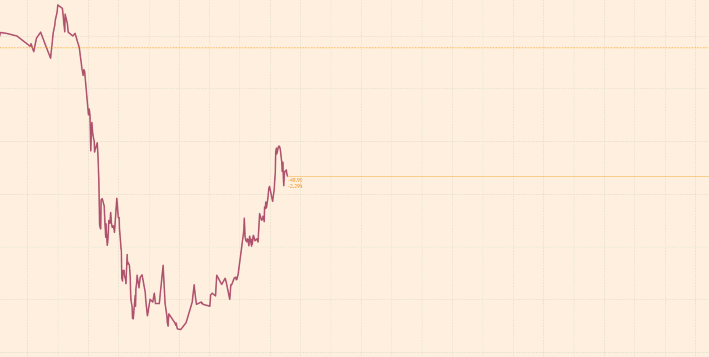 FastFT reports that the peso weakened to as much as 20.2967 to the dollar in Asia trade on Wednesday as state polls in the US showed a rising count in favour of Donald Trump. The currency was hovering just below that point at pixel time. The FT’s Jude Webber reports that at the Pinche Gringos bar in Mexico City the Democrats Abroad are trying valiantly to party, with the release of balloons and cheers when a state comes in for Clinton. He believed Trump could win if he carries Florida, North Carolina and Ohio. “If he wins there, then it’s a toss-up. And that’s scary,” he said. 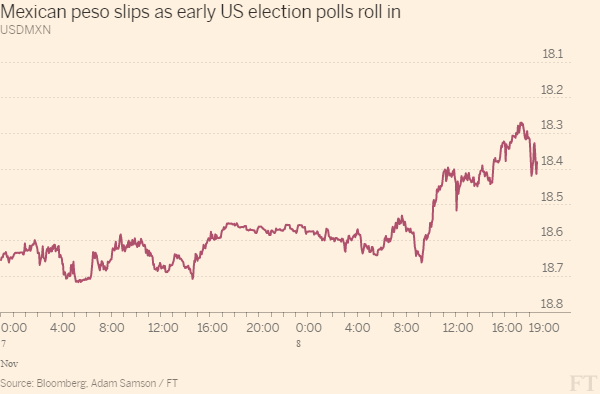 Global financial markets have been shaken by the growing spectre that Donald Trump may win the US election as investors eye the latest polling, FastFT’s Adam Samson reports. A round-up of the key measures at 1030pm ET. The peso – The Mexican peso is now down by almost 10 per cent against the US dollar, crossing the MXN20 threshold for the first time since at least 1971, according to Bloomberg data. US stock futures – S&P 500 futures is down 4 per cent, suggesting investors are expecting a rocky day on Wednesday for the benchmark Wall Street equity gauge. 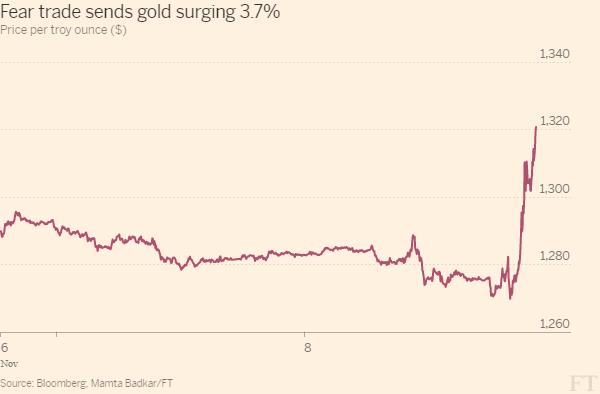 The yen, gold and Treasuries – Safe havens are rallying amid the rising uncertainty. The yen jumped by 3 per cent against the US dollar, gold climbed 2.9 per cent and the yield on the benchmark 10-year Treasury note, which moves in the opposite direction of the price, fell 11.2 basis points to 1.745 per cent. The dollar – The dollar index, a measure of the greenback against six global currencies, fell 1.1 per cent. Volatility – Futures on the Vix index, a closely-monitored gauge of US stock volatility expectations, soared 25 per cent. But it is not the way the Clinton campaign or their supporters thought the night would unfold. Many in the crowd have blamed James Comey’s decision to re-open the FBI probe into Mrs Clintons’ use of a private email server for her worse than expected performance so far tonight. “We know who he’s voting for”, Mark McMahon, an illustrator and Clinton supporter, scoffed of Mr Comey. But there is a clear disconnect between the New York Clinton supporters – who make up most of the crowd here and who helped her secure an estimated 80 per cent of the vote in New York – and states such as Florida and Ohio which are looking much worse for her than many predicted. Over at the rival Trump event at the Hilton Hotel, one pair of supporters were looking disbelievingly at their iPhones around 1040pm as Dow futures dropped hundreds of points, the FT’s Sam Fleming reports. 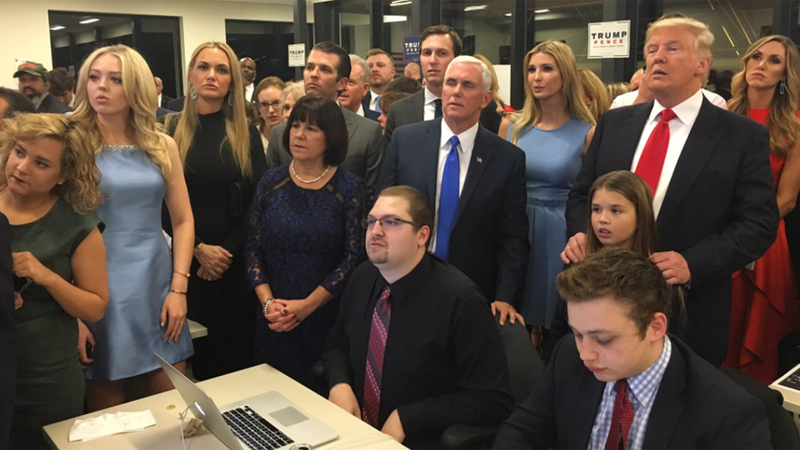 The ongoing count in Michigan on the screen quickly diverted their attention. Then a huge cheer erupted, with one supporter blowing his whistle euphorically, as news of the North Carolina projection came out. A chant of “drain the swamp” immediately started up in a reference to Mr Trump’s declared plans for Washington. The mood became fully euphoric. Latest results: Breaking News: Donald Trump has won Ohio. Hillary Clinton claims Virginia and Colorado. The FT’s Geoff Dyer notes that Virginia is a state Mrs Clinton had hoped would be comfortably in her camp but which turned out to be closer than expected. With 88 per cent of the votes counted, she had 48.3 per cent of the vote, with Donald Trump on 46.5 per cent. Virginia has 13 electoral college votes. Mr Trump did better than expected in the rural areas of the state, however in the end the Washington DC suburbs in the north pushed gave Mrs Clinton the victory. The Colorado victory was also sorely-needed for Clinton. 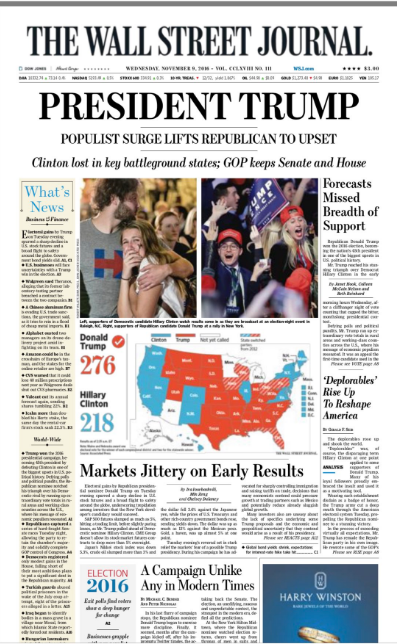 The FT’s Shawn Donnan reports that her win there repeats victories in 2008 and 2012 for President Barack Obama in the mountain state, which has increasingly become a Democratic outpost in the west. It was a must-win for the former secretary of state on a night in which Mr Trump is carrying other important states and threatening other important Democratic strongholds such as Michigan and Wisconsin. A huge cheer has erupted and chants of “USA, USA” as Florida is called. High fives among some supporters, reports the FT’s Sam Fleming from the Hilton Hotel. In winning the biggest prize among early battleground states with its 29 electoral votes, the win in Florida is a huge one for the Republican, who has called it his “second home” and considered a victory there crucial to his national ambitions, reports the FT’s Shawn Donnan. 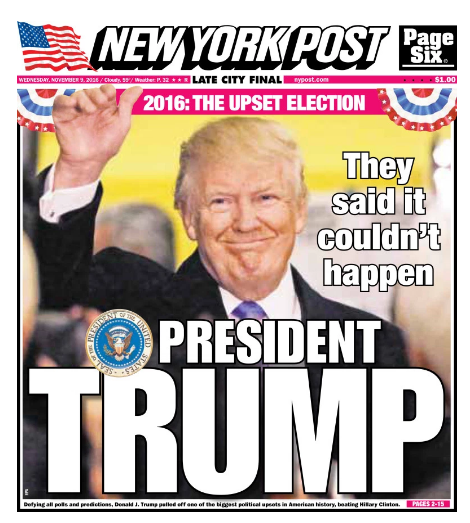 The New York businessman’s victory there came despite a surge in Latino votes that the Clinton campaign had hoped would deliver her a win. The FT’s Sam Fleming reports that the mood is becoming increasingly jubilant among Trump’s guests. Huge cheers erupted among supporters at the Hilton ballroom as Ohio is called for Trump. “Go to hell John Kasich,” shouts one in a reference to the state’s Republican governor, who refused to support the candidate. The focus among some supporters is now swinging to Michigan, with one pointing to President Barack Obama’s visit to the stage on the eve of the election as a sign of Democratic Party concern about the state. Worth a look back at this now. The FT’s Jude Webber reports from Mexico City that the local newspaper Reforma says that Claudia Ruiz Massieu, the foreign minister, has left the “war room” inside the foreign ministry to head to an urgent meeting in the presidential palace. Insiders in the finance ministry also described the mood as one of “panic”. Now investors are even further dialing back their expectations that the Federal Reserve will raise rates this year. Thanks to election jitters the odds of a December rate rise have fallen below 50 per cent, based on US overnight indexed swaps, Mamta Badkar reports. “We believe this reaction is fair as significant tightening in financial conditions could restrain the Fed from taking rates higher in December,” strategists at TD Securities noted. Just hours before, when polls were still open, futures had pointed to an 84 per cent chance of a move. The Fed last raised rates in December 2015. 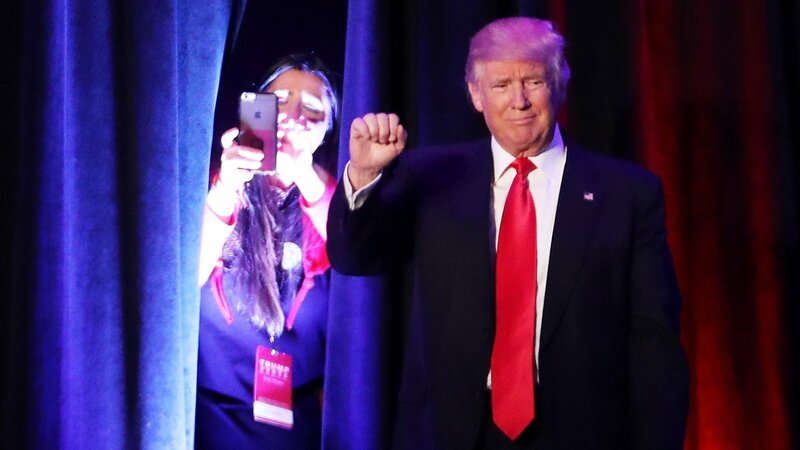 The FT’s Sam Fleming reports from the Hilton Hotel that the Trump crowd is “going wild” and shouting “USA USA” again with Fox calls of Wisconsin and Iowa. Two women supporters are screaming and jumping up and down as they celebrate. 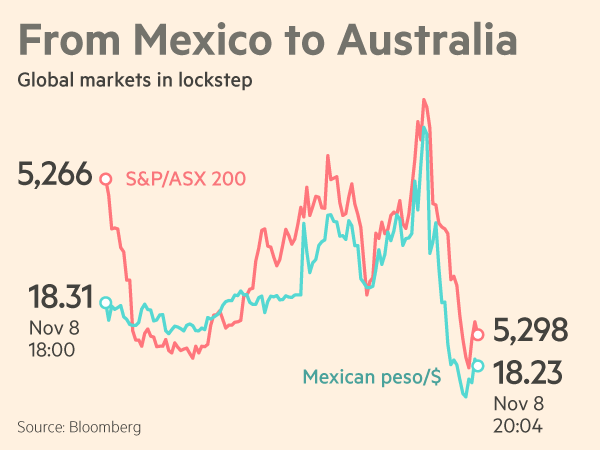 The Mexican peso has suffered its worst drop in more than two decades. Latest result: Donald Trump has won Utah, adding to his electoral college lead. That widens his count to 244 against Clinton’s 209. Watch how the results evening unfolded here in this FT election results map GIF. Investor distress at the prospect of the Trump presidency widens: the S&P 500 futures have fallen 5%, triggering trading curbs, FastFT reports. S&P 500 e-mini futures traded electronically on the CME Group’s exchange tumbled 5 per cent in early trading on Wednesday. That triggered a so-called “limit down”, a mechanism put in place to halt panicky selling, says Adam Samson. In a counterpoint to the pain in financial markets, California has passed a piece of legislation on marijuana. Cannabis is now legal in some form in more than half of all US states, even though the substance is still technically banned at the federal level. California and Massachusetts both voted to legalise cannabis for recreational use. Early results in Maine and Nevada suggested that those states were poised to legalise the drug as well. Four additional states also approved the use of marijuana for medical purposes – Florida, Arkansas, North Dakota and Montana – bringing the total number of states that support medical marijuana to 24. Voter’s attitude toward cannabis has changed in recent years, with many questioning the cost of the war on drugs and the way it has disproportionately affected people of colour. A Gallup poll last month found that 60 per cent of Americans polled thought cannabis should be legalised, the strongest level of support in decades. The Government of Canada’s immigration website has crashed as the US election results roll in, revealing much greater than forecast gains for Donald Trump. 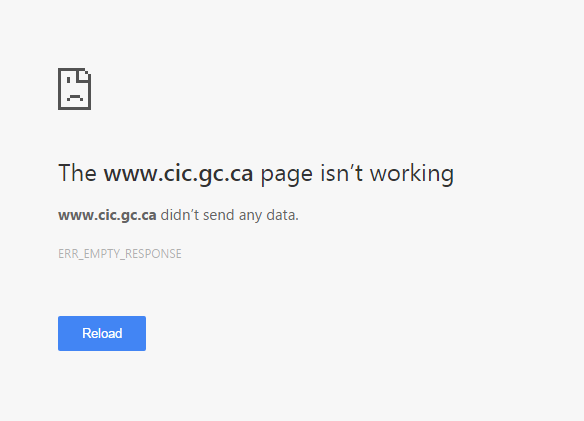 Canada’s main immigration site — www.cic.gc.ca — has been down intermittently for the past few hours. Prime minister Justin Trudeau has joked before about welcoming Americans to Canada in the event of a Trump presidency, saying in February that Canada is “always welcoming and opening”. About one million Americans are estimated to be living in Canada now. The balance tips the other way slightly with a Clinton win in Nevada. Bring the electoral college count to 215 for Clinton versus 244 for Trump. Latest results: The Republicans have retained control of the House of Representatives, extending their control of the chamber to six years, according to the Associated Press. The FT’s Geoff Dyer notes that going into the election with a majority of 59 seats, the Republicans had been expected to remain the largest party. However the Democrats made even fewer gains than they had hoped. In Tokyo, despite the dollar-yen volatility, Robin Harding reports that the public and official outward reaction is subdued. Nonetheless, Japan’s finance ministry is to hold an emergency meeting between the Masatsugu Asakawa, the vice minister for international affairs, Masayoshi Amamiya, executive director of the Bank of Japan and Nobuchika Mori, Financial Services Commissioner at 3pm local time. In Germany, as European leaders struggle with the possibility of a Trump victory, the first German minister to give a view is defence minister Ursula von der Leyen, who appeared on morning television. The FT’s Stefan Wagstyl reports that Ms von der Leyen appealed to Mr Trump to avoid isolationism. “It’s in Europe’s interest that the US remains open to the world,” she said. The said there were many “open questions” about the Republican candidate’s intentions, including his attitude to Nato and to Russian president Vladimir Putin. 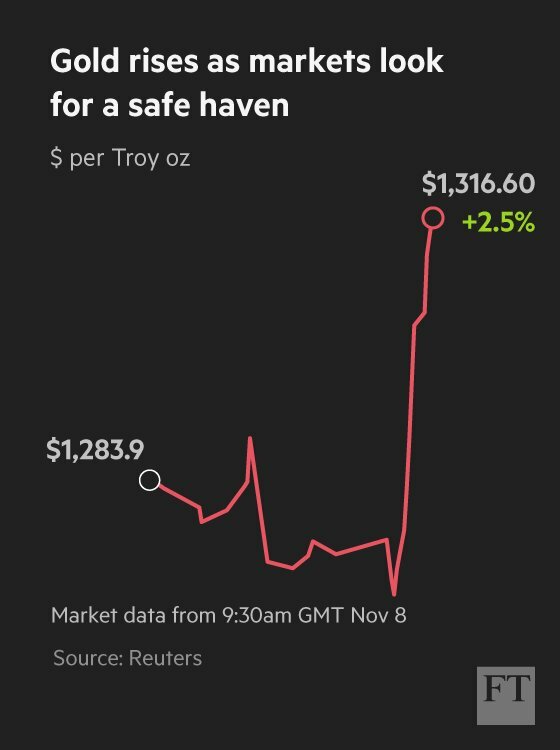 In commodities markets, the FT’s David Sheppard reports, industry players were grappling with the overnight gyrations in response to the US election uncertainty. Wayne Gordon, commodity, currency and rates strategist at UBS WM, in Singapore said: “If Trump ends up the winner or its uncertain at the end of today then ‘risk-off’ trading could persist for a number of days. Mr Gordon cautioned, however, that if markets remain volatile the US dollar could start to benefit if investors flee from riskier assets, which could put additional pressure on commodities that are priced in the US currency. In South Korea, authorities have also announced a host of emergency meetings this afternoon to discuss response measures to the US elections. Ruling party lawmakers and key ministers, including the foreign affairs and defence minsters, are due to meet at 3pm local time to discuss possible scenarios emanating from a potential win for Donald Trump, reports the FT’s Bryan Harris. At 5pm, the Financial Service Commission will host an array of institutions, including Korea Exchange and the Financial Supervisory Service regulator, to discuss “emergency response measures,” a spokesman told the Financial Times. The Financial Supervisory Service had earlier asked institutions to prepare themselves for external shocks and to monitor foreign exchange liquidity. 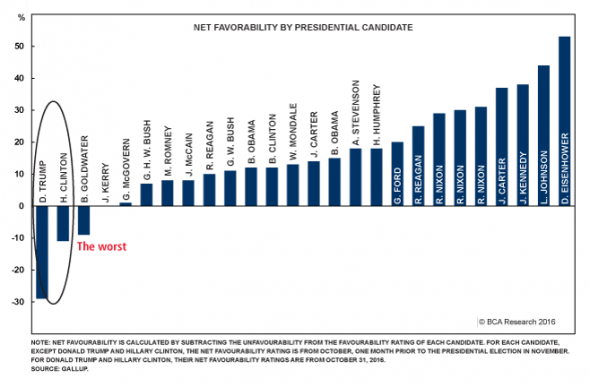 As Trump nears a historic upset, Nate Silver, the widely cited political analyst and statistician, takes a look at the biggest polling misses. A historic result is hanging on the outcome in a handful of swing states: Michigan, New Hampshire, Pennsylvania and Wisconsin. And Alaska. This delivers 244 electoral college votes for Trump vs 215 for Clinton. Speaking to the supporters from the Trump heartland. Europe’s right wing leaders now all reacting to the US election results. era”, adding that Warsaw would respect any choice of Americans, the FT’s Henry Foy reports. people,” Witold Waszczykowski said on Wednesday morning. The Clinton camp is regrouping after the Pennsylvania news. Kellyanne Conway, Trump’s campaign manager, says “we expanded the map”. Do you have questions about what is happening in markets? Join our expert John Authers now – answering readers live on Facebook. “The forgotten men and women of our country, will be forgotten no longer,” Trump says in victory speech. Trump leaves the stage to “You Can’t Always Get What You Want” by the Rolling Stones. The FT has called Donald Trump’s historic victory a “thunderous repudiation of the status quo”. The most powerful nation on earth has elected a real estate developer with no experience in government, a self-styled strongman contemptuous of allies, civil discourse and democratic convention. Barring a protean change of personality, Mr Trump’s victory appears to represent a challenge to the western democratic model. A retreat from risk remains the defining theme as European markets open. The continent’s benchmark index, the Euro Stoxx 600, is down 2.2 per cent with banks leading the way. Spain’s BBVA has weakened 8.5 per cent and Natixis of France is off 5.8 per cent. Unloved by investors all year, European banks have become an automatic sell during moments of wider stress. And the stress right now is that Donald Trump is an unknown quantity in the White House. 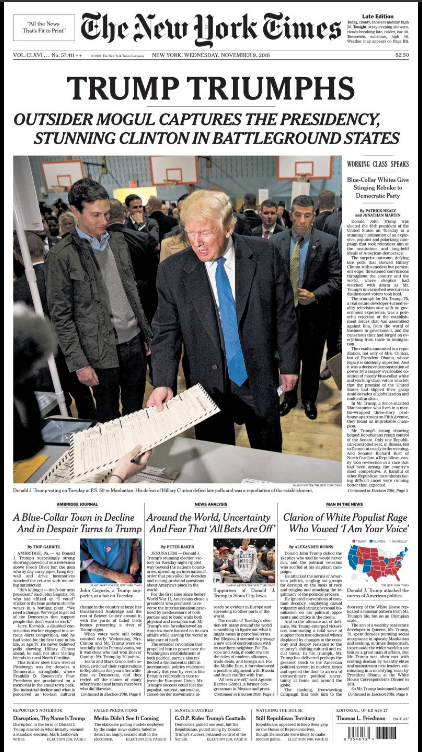 Donald Trump defied the odds with his victory this morning. Nearly all major national opinion polls predicted Hillary Clinton would win both the popular and the Electoral College vote. 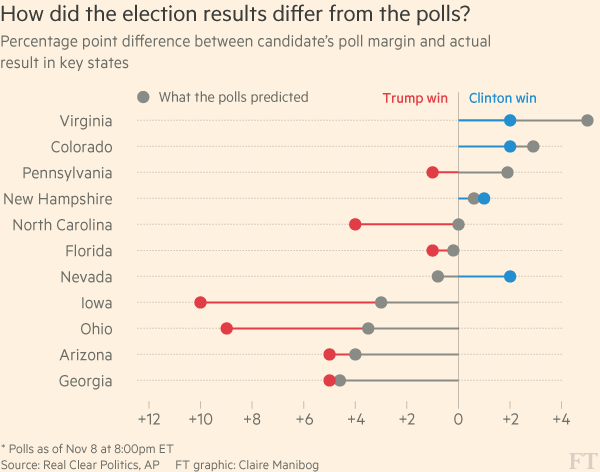 The FT’s Claire Manibog has looked at the numbers and put together this helpful graph on how the election results differed from what the polls were predicting in key swing states. Russian president Vladimir Putin sent Mr Trump a telegram congratulating him on his victory and wishing him “success in the vital responsibilities of head of state”, the FT’s Max Seddon reports from Moscow. Mr Putin told Mr Trump he hoped they could work together to improve US-Russia relations, currently at their lowest ebb since the Cold War, as well as “solve international issues and search for effective answers to global security challenges,” the Kremlin said. As Europe wakes up to the news of President-Elect Donald Trump, EU politicians are reacting to the election result. James Politi, the FT’s Rome bureau chief, reports that Mr Ayrault’s counterpart in Italy, Paolo Gentiloni, said Mr Trump’s victory was a “very important fact which will change many things in the world”. Tobias Buck, the FT’s Madrid bureau chief, says Mariano Rajoy, Spain’s prime minister, sent a congratulatory tweet that described the US as an “indispensable ally” to Madrid. “We will continue our work to strengthen the relationship with the US,” he said. Pablo Iglesias, the leader of the anti-establishment Podemos party, had a less diplomatic message, tweeting an iconic picture of two African-American athletes giving the “black power salute” at the 1968 Olympics. “The vaccine against Trump’s fascism is social justice and human rights, not more establishment. There is a people in the the US that will resist,” he said. Some advice to Mr Trump from one of the world’s better known investors. 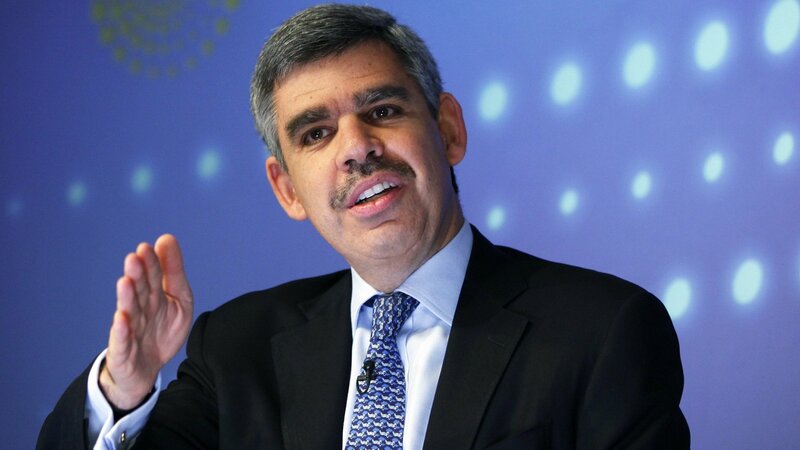 Mohamed El-Erian, the former chief executive of Pimco, says the property mogul has a short window to build a consensus around investing in the country’s infrastructure and reforming the country’s corporate tax code. But he must move quickly and avoid major mishaps like slapping tariffs on China and Mexico. Expect a lot more advice from Wall Street in coming days. Nato’s chief Jens Stoltenberg has “welcomed” the election of Mr Trump, saying he is looking forward to working with the new president. At a press conference in Brussels this morning, the Norwegian said he will welcome Mr Trump to the capital at Nato’s 2017 summit. “US leadership is as important as ever and a strong Nato is good for the United States”, he said. Mr Trump said during his presidential campaign that if Russia attacked a Nato member, he would consider whether the targeted country had met its defence commitments before providing military aid, appearing to contradict a key tenet of Nato cooperation. European Council President Donald Tusk has sent a letter of congratulations to Donald Trump, inviting the US President-Elect to visit Europe for an EU-US Summit. “The conversation would allow for us to chart the course of our relations for the next four years,” Mr Tusk wrote, in a letter co-signed by European Commission President Jean-Claude Juncker. Twitter users can read the full text of the letter below. John Authers, the FT’s markets commentator, has offered his initial verdict on what Mr Trump’s triumph means. What is undeniable is a deep pessimism and anger within the electorate. A famous work of stock market history is called Triumph of the Optimists; it argues that the second half of the 20th century, with the rebirth of Germany and Japan, the peaceful end of the cold war, and widening free trade, was a triumph for those who looked to the future optimistically at mid-century. Markets peaked at the end of 1999. The advances from 1950 to 2000 then taken for granted are now in doubt. As certainties disappear, this election marks the triumph of the market pessimists. With the margin of victory for Mr Trump currently sitting within 100,000 votes in states such as Michigan, Wisconsin and Pennsylvania, these counties that flipped made all the difference. This in from Elaine Moore, capital markets reporter at the FT. Yes, markets are in clear risk-off mode, but there’s not panic. Several analysts and economists are already predicting that markets will prove relatively robust, pointing to a resilient US economy and the danger of exaggerating risks when the long-term outcome of Mr Trump’s presidency is still unknown. As it to prove the point, the drop in S&P 500 futures has almost halved as the chart below shows. Theresa May, the UK prime minister, has congratulated Donald Trump and said the US and UK will remain “strong and close partners on trade, security and defence”. Earlier this morning, Matthew Barzun, US ambassador to the UK, said the “special relationship” between the two countries is “unbreakable and unshakable”. Can we expect a performance from the Rolling Stones at the inauguration? If Mick Jagger’s tweet this morning is anything to go by, probably not. Donald Trump has used the song “You Can’t Always Get What You Want” at campaign events in recent months, and the song closed out his victory rally this morning. The FT’s Shawn Donnan reported yesterday that workers are already assembling the stands for the inauguration parade, which is more than two months away. For those of you marking your calendars, Trump will be sworn in on January 20. Just like we saw during the Brexit vote, the betting markets were caught off guard by the prospects of a Trump campaign upset. One Irish bookmaker, Paddy Power, went so far as to say on October 18 that it would pay over £800,000 early to customers who backed a Hillary Clinton victory. Whoops. The result also stung Paddy Power for its biggest political payout ever with the bookie been hit for over £4 million by customers who backed Trump After Donald Trump was hit with scandal after scandal the bookie was confident of Hillary’s chances – prompting the whopping payout. But Clinton’s campaign took a late hit thanks to the reopened FBI investigation which resulted in a huge surge in bets for The Donald. The FT’s chief foreign affairs columnist, Gideon Rachman, and chief editorial writer, Robert Armstrong, are discussing the fall-out from the election on Facebook Live. Tune in on the FT’s Facebook page here. CNN and other media outlets are reporting that President Obama has called to congratulate Mr Trump on his victory and that two are scheduled to meet on Thursday. And there’s congratulations to the US president-elect from the Philippines. 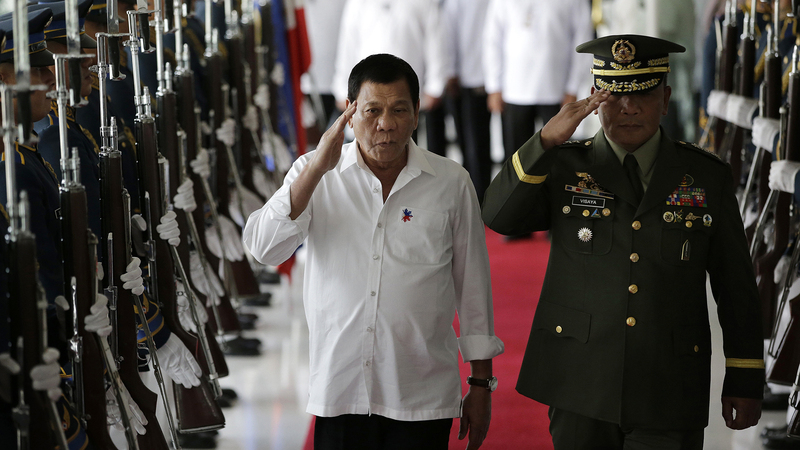 President Rodrigo Duterte of the Philippines, who has repeatedly hit out at Manila’s longtime ally Washington and has told President Barack Obama to “go to hell”, offered Mr Trump “warm congratulations,” reports Michael Peel in Bangkok. Mr Duterte “looks forward to working with the incoming administration for enhanced Philippines-U.S. relations anchored on mutual respect, mutual benefit and shared commitment to democratic ideals and the rule of law,” said Martin Andanar, presidential communications secretary. Today, November 9, is the 27th anniversary of the fall of the Berlin Wall. Today’s event was shocked to open with news that “a man who campaigned on building a new wall” had been elected US president, as Falling Walls founder Sebastian Turner put it. “One healthy effect of the Trump presidency might be to finally force us in Europe to be a little more mature. We have grown too accustomed to living under the wonderful protective umbrella offered to us by the US for more than 50 years,” he added. The joint leaders of Northern Ireland congratulated Donald Trump on his victory and said they looked forward to working with him, the FT’s Vincent Boland reports. Arlene Foster and Martin McGuinness said Northern Ireland had close economic, political and economic ties with the US and these would continue. The US played a key role in securing the Good Friday Agreement that ended Northern Ireland’s 30 years of political violence in 1998, when Bill Clinton was president. The Clintons retain huge respect across Ireland, and Hillary Clinton was thought more likely to keep a continuing US interest in Ireland than Mr Trump. The betting patterns for the US election were almost identical to those of the Brexit vote, according to some of the UK’s leading bookmakers. Around ⅔ of the total money staked during the Brexit vote was for ‘remain’, while ⅔ of the total bets placed were for ‘leave’, which analysts said skewed the betting markets in favour of the former. William Hill has said that ⅔ of the total money it received in this election were for Ms Clinton, but ⅔ of the individual bets were placed on Mr Trump. Ladbrokes says the contrast between total money staked and number of individual bets was even starker: “75% of individual wagers on the race to the White House were for Trump, while 80% of the money had been for Clinton”, said Jessica Bridge of Ladbrokes. She added that over 50,000 bets were placed in total during the election. William Hill said last week it would be £330,000 worse off in the event of a Trump win, while Paddy Power paid out £800k to backers of Ms Clinton when it prematurely declared her the winner last month. Among the punters to bet heavily on a Trump victory was John Mappin from Cornwall, who won £100,000 after staking 30 bets with William Hill on the Republican’s victory over the past 18 months. For the number-crunchers out there, the FT team in New York have created this helpful chart showing how the vote changed in each state between 1972 and 2016. Note that six states “flipped” between 2012 and 2016: Iowa, Ohio, Florida, Pennsylvania, Wisconsin and Michigan. One thing is becoming increasingly clearer this morning as the final results continue to come in from Wisconsin, Michigan, Pennsylvania and New Hampshire: This election was extremely close. The combined margin of victory in these states for Mr Trump is just over 100,000 votes and that is why he will be the next president of the United States. 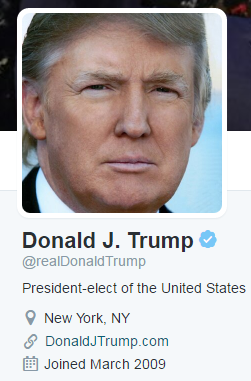 Donald Trump has not tweeted yet today, but he has already updated his Twitter profile to read “President-elect of the United States”. Thanks to all of our loyal readers for following this blog throughout the night and into the morning in Europe. 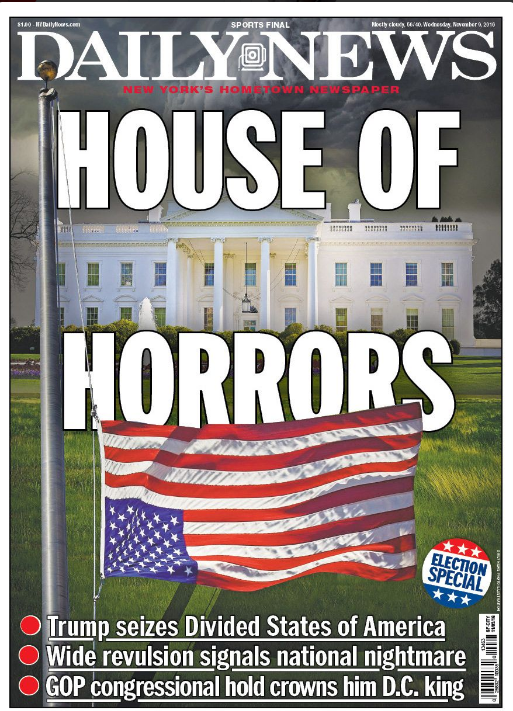 As the US wakes up, we are going to move the live blog over to a new page. 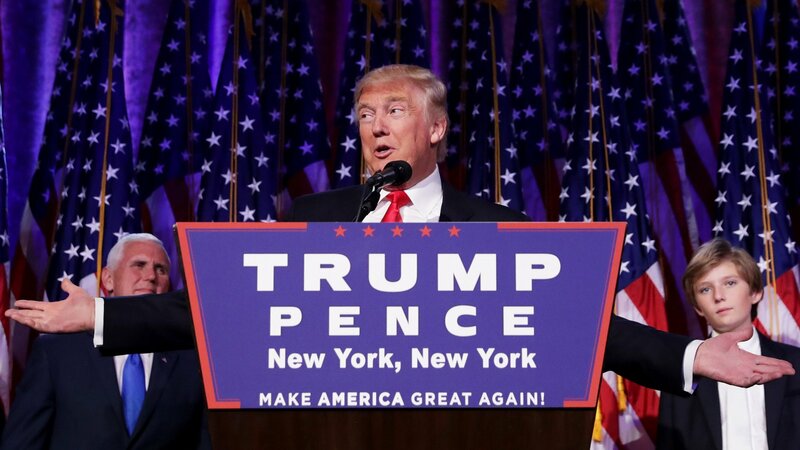 You can continue to follow the latest global reaction to Donald Trump’s historic victory here.